become paramount. It explores whether youth movements that are oriented towards greater democracy and social justice, movements that aim to expose and alter repressive political and economic structures, are at an advantage in the digital age. Are the new information and communication tools, which citizens use for creating, expressing, organizing, and deliberating, shifting the balance of power? Or are powerful entities finding more effective and efficient ways to contain, monitor, coopt, and disenfranchise people, and especially youth, through these very tools and technologies? The book connects to a cross-section of literature from political theory, international relations, critical media studies, marketing, and the study of youth and popular culture. LH: My previous research deals with questions about globalization and the contested nature of education, battles over the “control” of youth bodies and minds, and Middle East cultures and politics in the post-Cold War era. These core issues are all present in this work. I also rely on a set of research tools and methodological approaches that have guided my work in the past. The research for this book involved applying techniques of critical ethnography to social media spaces, conducting a number of face-to face-interviews, and undertaking policy analysis of US State Department documents for “Democracy Promotion” and “Internet Freedom” in the post-9/11 era. I also tread into decidedly new territory. I needed to learn about techniques of online marketing and advertising, venture capitalism, become acquainted with the literature from media and communications studies, and to think about high tech companies such as Google and Facebook as entities comparable in some aspects to the State. The scholarly research dealing with high tech companies lags far behind their impact and power, something that we as a research community need to redress. LH: Initially, I envisioned an audience interested in not only the Arab Uprisings, but the range of networked social movements as exemplified by Occupy, Indignados, Taksim Square, the student movement in Chile, and anti-austerity uprisings in Iceland, Southern and Eastern Europe, to name a few. Much of the literature about contemporary networked movements often exaggerates their emancipatory and transformative potentials. On the other side, the blogosphere has been rife with conspiracy theories about the disguised and sinister nature of many of these movements, particularly the Egyptian uprising. I wanted to unpack these conspiracies to the extent I was able to do so. This book does not set these multifaceted issues to rest, but hopefully advances an understanding of political mobilization and crowd-sourced education in this era of social media and uprisings. This book raises pressing issues that will remain important far into the future about surveillance, (internet) freedom, privacy, protected speech, human rights, inequality, and civil disobedience in our digital age. The very future of democracy depends on our vigilance and advocacy around these issues. My greatest hope is that this work will serve as a form of critical media literacy, inform practice, and inhabit a place in wider conversations about power, counter power, and democracy in the digital age. 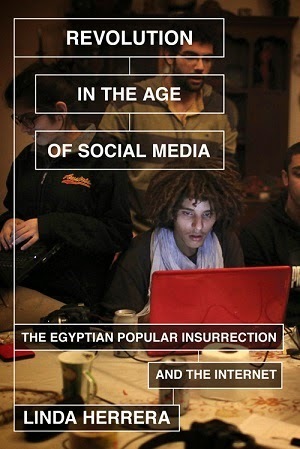 Egypt’s 25 January revolution was triggered by a Facebook page and played out both in virtual spaces and the streets. Social media serves as a space of liberation, but it also functions as an arena where competing forces vie over the minds of the young as they battle over ideas as important as the nature of freedom and the place of the rising generation in the political order. This book provides piercing insights into the ongoing struggles between people and power in the digital age.